The Grand Prix circuit returns to sunny Singapore, one of five birthday weekends for the 25th Anniversary! 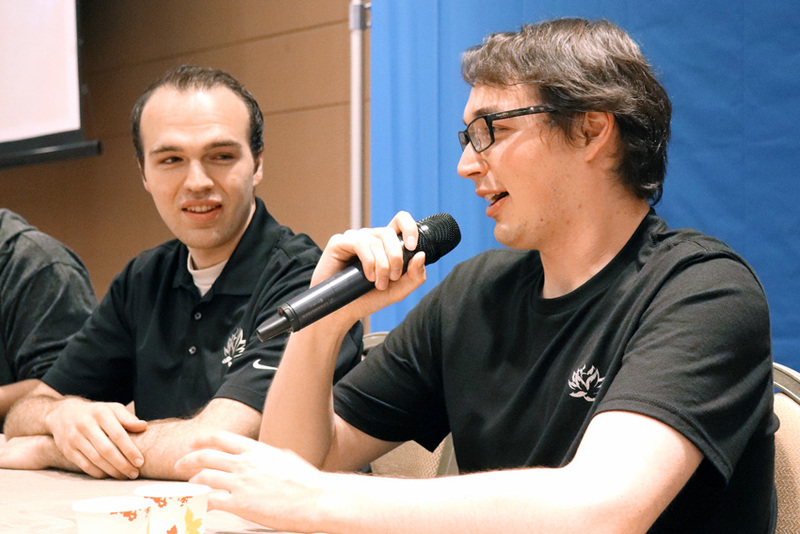 Hundreds of players have gathered for delicious cupcakes, a weekend of Dominaria Standard, and a walk down memory lane. The Grand Prix circuit will visit five destinations where 25th Anniversary birthday weekends take place. 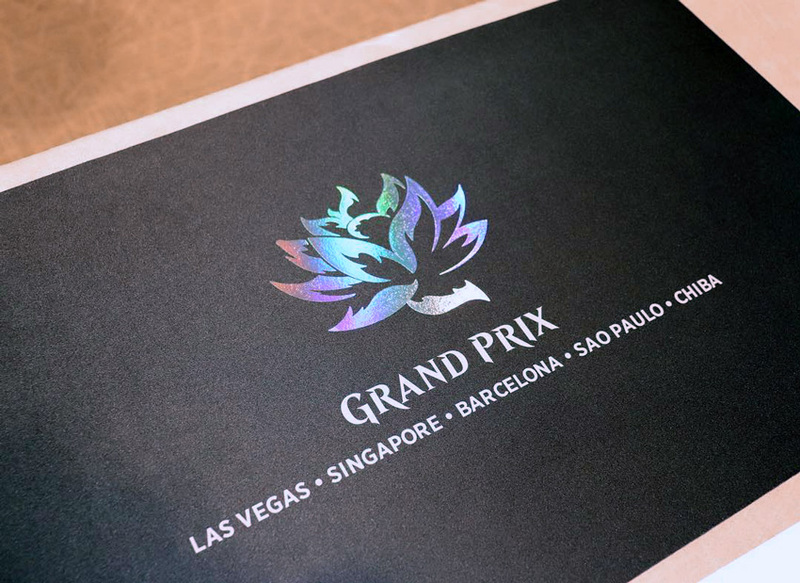 Kicking off in Las Vegas, the festivities were now in Singapore and will be followed by Barcelona, São Paulo, and then culminating in Chiba. 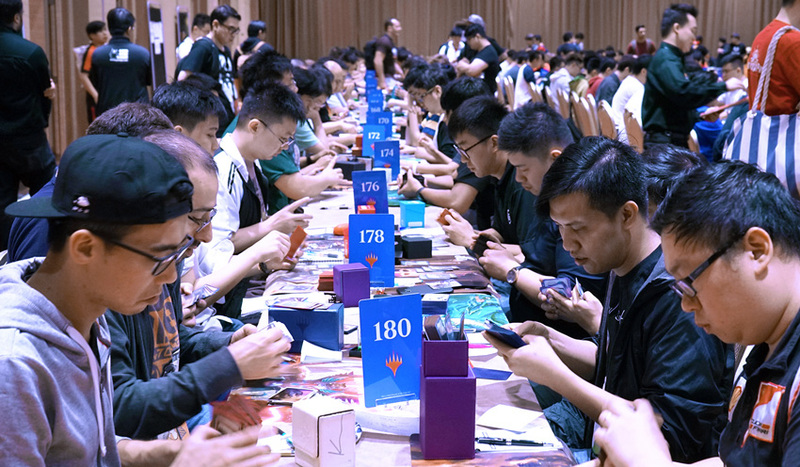 Magic was a truly global game and today's tournament attracted players from nearly 20 countries all over the globe. Singapore was the second of five 25th Anniversary weekends and the celebrations took place as early as Friday! A special panel - headlined by Magic Designers Gavin Verhey and Jules Robins - was the highlight of the evening. Aside from a video foreword by Richard Garfield (creator of Magic: The Gathering), Peter Addison (founder and first CEO of Wizards of the Coast), and Mark Rosewater (Head Designer for Magic: The Gathering) sending their love from afar, Verhey and Robins also took enquiries from the enthusiastic crowd during the Q&A session, sharing their visions and dreams for the future of Magic. Entertaining a wide range of questions from a curious group, numerous issues were addressed, ranging from design, development, organized play, and upcoming products. Besides, Verhey and Robins also engaged in intense gunslinging sessions with avid fans, where attractive prizes were awarded. If you can beat a Magic designer, you probably deserve a little pat on the back and a small gift! In particular, this lucky (and pleasantly surprised!) player was the first to take home a sealed Legends booster pack, a product which hit shelves in June 1994, taking home a piece of history in elegant fashion. 25 years was a great deal and we certainly looked forward to the next 25 and beyond. Eight planeswalkers and Oath of Teferi? That's way too cool, and even Verhey had to admit that he was impressed! Another highlight of the 25th Anniversary weekend was what players dubbed "the cake moment". Which birthday celebration is complete without cakes? 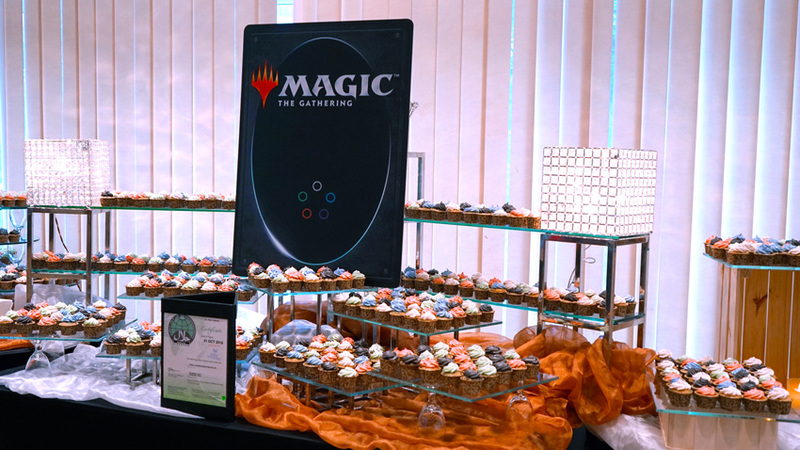 Everyone in attendance indulged in as many cupcakes as they desired, each of them topped off with icing in each of Magic's five colors! 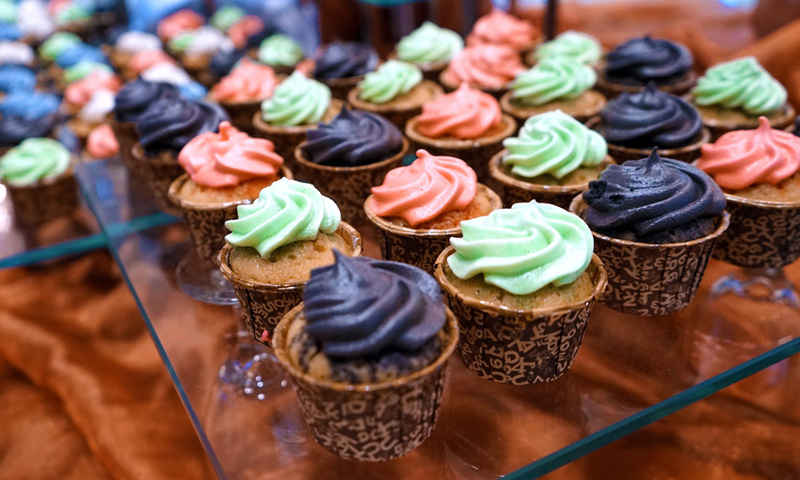 If you're in town, drop by for some sweet treats and immerse yourself in a slice of Magic history! The revered Rob Alexander was one of the original twenty-five (wow, we're seeing this number a lot this weekend) Magic: The Gathering artists and contributed almost 150 pieces of stunning artwork to our rich world over his two-decade tenure. 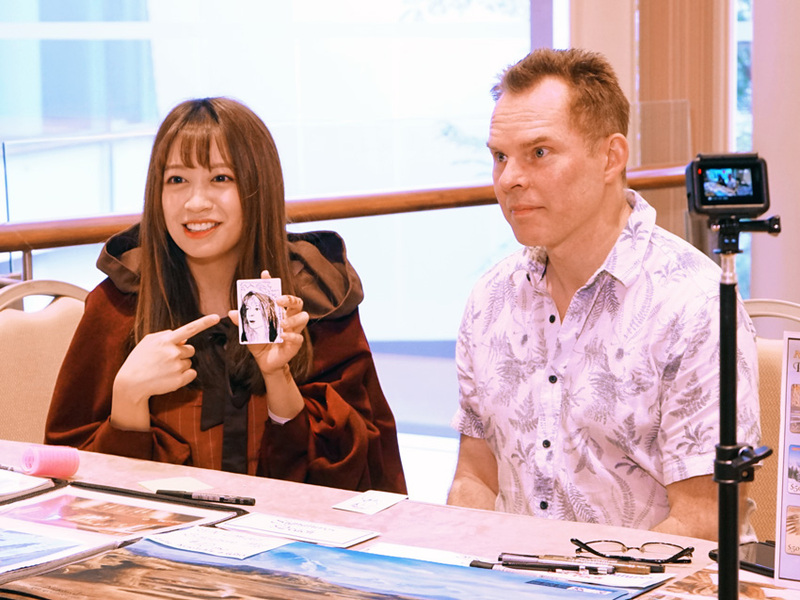 His most notable works out of Limited Edition Alpha include Badlands, Savannah, Taiga, and Underground Sea, cards which are still highly sought after even after 25 years. Today, a famous Taiwanese Youtuber by the name of Haley Du also had an artistic showdown with Alexander. Both players were given a certain amount of time to sketch portraits of one another. For a non-professional artist, don't you think that Du did an outstanding job? Regardless, fans from around the Asia Pacific were thrilled to have Rob Alexander here in Singapore. 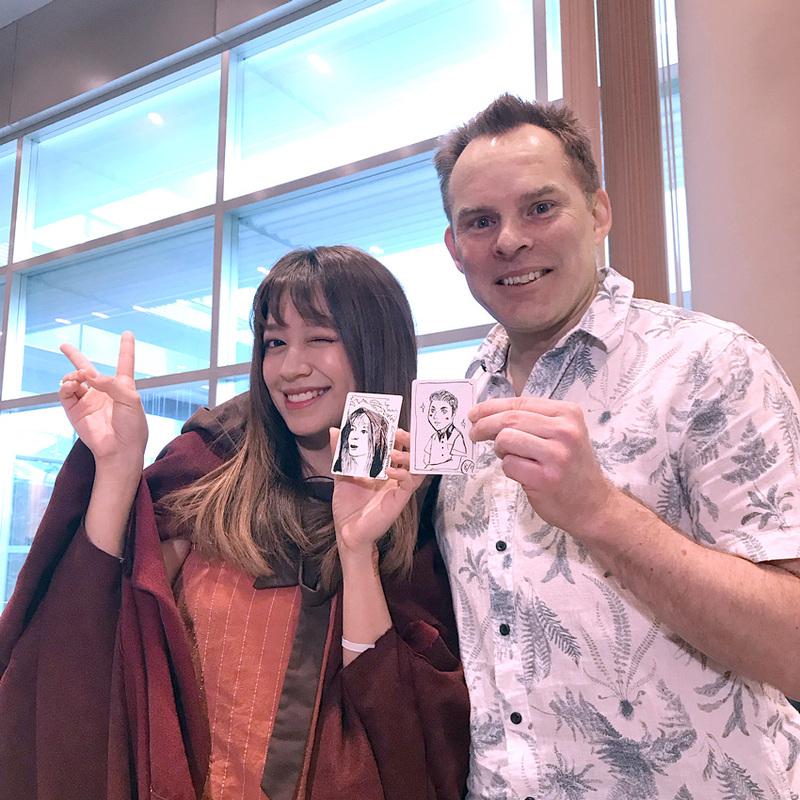 Not only could they get their cards autographed, but it was also a great chance to interact with one of Magic's most distinguished artists, as well as pick up some gifts and prints as a souvenir to commemorate this particular weekend. For additional reading about one of the most important artists to have sculpted our rich world, check out this feature written by Brian David-Marshall from 15 years ago, Master of the Landscape. Six 8-0 Players Lead The Charge! Time flies when you're enjoying yourself, isn't it? After eight rounds of competition, the field of 682 was down to just 145. Among those were six undefeated players, namely Grand Prix Hong Kong winner Rei Sato, Pro Tour Battle for Zendikar champion and finalist, Kazuyuki Takimura and Ryoichi Tamada, Kouhei Watanabe, Grand Prix Tokyo 2016 Top 8 competitor Eng Chu Heng, and Grand Prix Melbourne Champion Nam Sung Wook. Be back tomorrow as we delve deeper into the world of Standard and examine how the format has evolved. We'll be delivering the full Day 2 Metagame Breakdown, along with other compelling stories. Most importantly, the Unlimited Booster Draft will also take place tomorrow, so stay tuned as we bring you an overview of the action! If you're craving for more Dominaria action, head over to Grand Prix Pittsburgh 2018! As we close up here, things are about to get started in Pennsylvania!